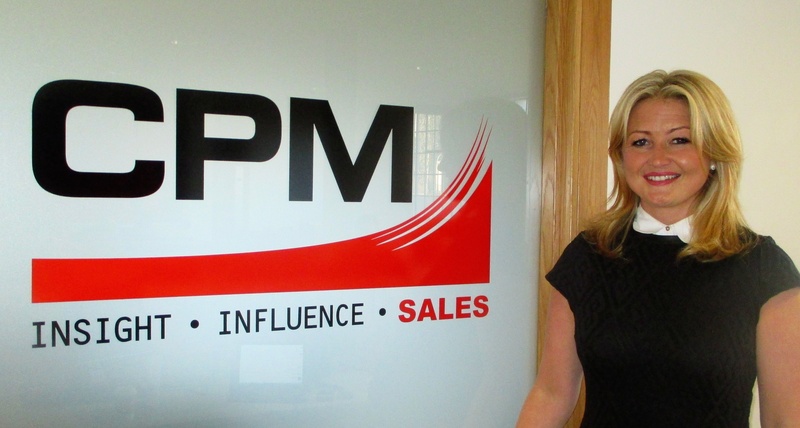 In occasion to International Women's Day 2016, we had the opportunity to interview Lorraine Butler, Managing Director of CPM Ireland. Lorraine is a great example of Women in Leadership, with more than 20 years industry experience in highly targeted Sales industries. If you want to get some motivation of a great leader, have a look at this short interview. 1.- What was your first ever job? Working in a Delicatessen in Carlow town – I did 1 weeks work experience as part of Transition Year in school and secured a part time job for 2.5 years which helped fund my teenage years and all that comes with it! 2.- What roles did you do before moving in to your current role in CPM? During my college years, I managed Pizza Hut, the Rathmines branch, so it’s strange to be back in Rathmines 20 years later. After college, I started working with a Software company as a Vendor Manager and then spent a couple of years in Recruitment. I started with eircom as an SME Account Manager, moving roles every 2 years for that extra challenge and experience. My last role in eircom (now eir) was as Director of Enterprise and Governments Markets, where I managed Ireland’s largest Business to Business field sales team & corresponding customer relationships. 3.- Who was the biggest influence on your career? My parents. Both of my parents come from humble backgrounds and due to family circumstances, both left school & the education system quite early. I am the eldest of eight children – all girls! And my parents support, positive work ethic, integrity and respect for any person they come across gave me the best possible foundation in life. My parents’ guide to my sisters & I has always been ‘Be the best you can be’. I’ve always worked towards making them proud and experiencing things that I know they too would have had their earlier education been different. 4.- What do you enjoy most about your current job? My role allows me to deal in the 2 things closest to my heart – People & Sales. People both internal and external to CPM, decide how successful our company will be and I firmly believe that if you look after People, the Sales will follow. There are great people in CPM and there is a great sense of ‘Family’. People look after and support each other in offering a best in class service to our customers. There is great diversity in the customer industries with whom CPM deal & working closely with our customers affords great new experiences each day. 5.- If you didn’t have your current job, what would you love to do? I love this job –and yes its early days, but everything I want in a role and company I have found in CPM. I count myself very, very lucky that every evening when I finish for the day I’m looking forward to the next morning and all that it will bring. 6.- What would be your advice to women starting out their career? Anything is possible – whatever you want to achieve, it is achievable, but you are responsible for your own journey and destination. Regardless of whether you realise it or not – Every Day you are being interviewed. Do what is expected of you in your current role with excellence, but adopt practices and behaviours of the role you want next! Work to identify & secure a mentor who you respect and will learn from – but ensure to take heed of their advice –they haven’t achieved the success they have, without learning a thing or too along the way – so listen, observe and action on their guidance, it will speed up your journey to success. 7.- If you could state one characteristic that makes a strong business woman, what would that be? 8.- What is your Pledge for Parity? I pledge to ensure that 'the best person for the role' always secures the role. I pledge to eliminate personal circumstances as a factor that might negatively impact a person securing the role. I pledge that teams acknowledge these circumstances and support each individual to realise their potential, for mutual success.